D&B Credit Report - Saitech Inc.
Saitech Inc is a D&B registered and Rated Company since 2002. Saitech Inc has a strong financial and solid business foundation. Saitech Inc has an excellent credit rating and supplier rating by Dun and Bradstreet both as a supplier and customer. 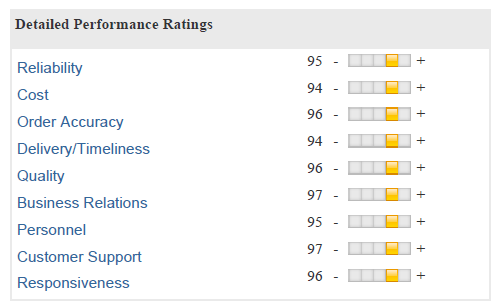 D&B’s Supplier Evaluation Risk (SER) Rating Identify stable suppliers and avoid risky suppliers. 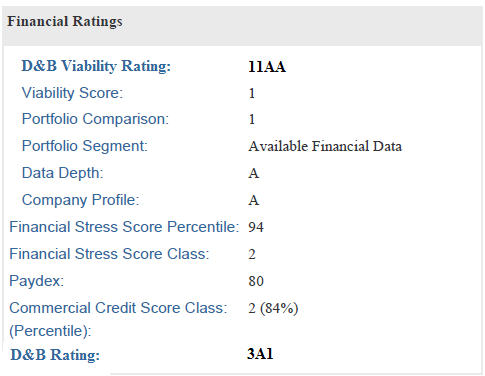 Credit rating was assigned because of D&B’s assessment of the company’s creditworthiness.